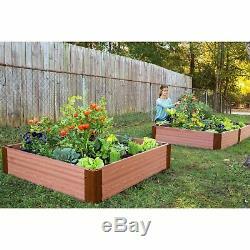 Frame It All 1-inch Series Composite Raised Garden Bed Kit - 4ft. Dimensions: 48L x 48W x 11H in. 38% recycled plastic, 62% sustainable hardwood fibers. Timbers will not rot, warp, splinter, or fade. Modular system offers endless design options. 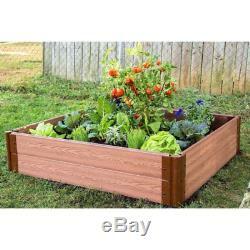 The Frame It All 1-inch Series Composite Raised Garden Bed Kit - 4ft. 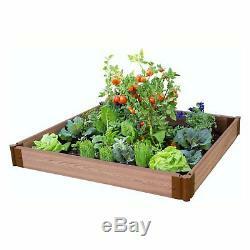 Is versatile and ideal for small-space, eco-friendly gardening. Nearly any type of crop, including root vegetables, with thrive in its generous 11-inch-deep bed. Prefer surface area over depth? 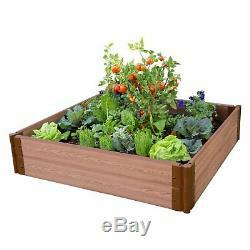 This kit also converts into two 5.5-inch-high raised beds, increasing your available planting area to 32 square feet. The insulating composite board keeps your soil temperature consistent throughout the growing season. 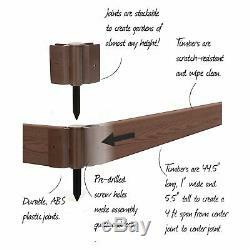 As your garden needs and expertise grow, you can add on to your modular raised bed any time by purchasing additional 1-inch kits, boards, or brackets to stack or extend your garden. 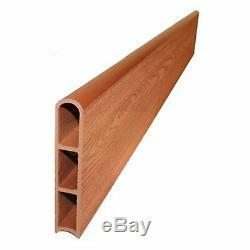 Curved 1-inch boards are also available to incorporate into your design. Frame It All Taking do-it-yourself landscape design to another level, Frame it All offers professional-quality items at affordable prices. Even better, raised bed gardening doesn't require grass or a yard, so you can create a unique, eco-friendly space wherever you see fit, from rooftop to deck. Frame it All carries raised garden bed accessories as well, including cold frame greenhouses, trellises, and more. Dimensions: 48L x 48W x 11H in.. This listing is currently undergoing maintenance, we apologise for any inconvenience caused. The item "Frame It All 1-inch Series Composite Raised Garden Bed Kit 4ft. X 11in" is in sale since Wednesday, November 21, 2018.